Garage Décor and More is owned by Perry J. Tiemann, formerly of Belleville, IL and now currently of Waterloo, IL. After spending 20 years in the auto body industry, it was time for a change. In the fall of 2001, I formed a company called The Assembly Mann, Inc. providing service and assembly of items that people would purchase for their home or place of business. We would assemble or install anything from play sets to trampolines to office furniture to ceiling fans. Customers would often ask if I could install shelving in their garage or kitchen pantry or help them design a system of shelves and rods for their bedroom closet. Having an interest in putting things together and making something out of nothing led to the formation of Garage Décor and More. This seemed like a natural transition and now, after having carefully searched for a premium product line to offer my customers, I am able to provide a quality product along with my customer-first service. I am involved in every aspect of the business operation, from the initial phone call to set up a no-hassle consultation to the final installation and cleanup. If you are looking for quality garage storage solutions, give us a call today at (618) 936-4211 or click the "Contact Me" button to send us a message. We look forward to working with you! Leslie Eicher is obsessed with home design. Long before staging homes became a recognized profession, Leslie was perfecting her craft to sell her own homes. 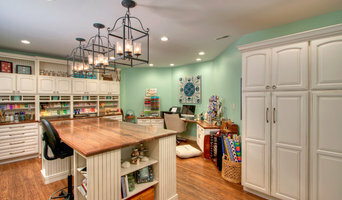 After each of her homes sold much faster than the market average, usually at full price, the idea of staging as a professional endeavor was born. Before she knew it, friends were asking for help with their homes (kind of like when you own a pickup truck…). Seven houses and four states later, Leslie landed in Kirkwood, a suburb of St. Louis. She decided to turn her passion for home staging into a career, and became a Certified Professional Stager through CSP International and is a member of the Real Estate Staging Association (RESA) and Home Staging and Redesign Association™ (HSRA). She regularly attends conferences and events to ensure she is on top of sales data and current design trends. Leslie takes great pride in the personal connections she makes with each seller. 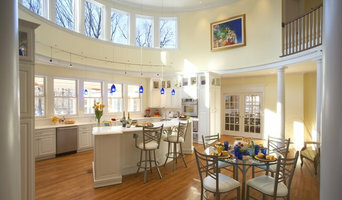 She is motivated by the unique challenge presented by every home, and feels that her clients’ success is her success. By combining her design savvy and home selling experience, she is able to do what she loves and help Realtors®, developers, flippers and home owners cost-efficiently showcase their home and speed its sale. It’s a win-win.